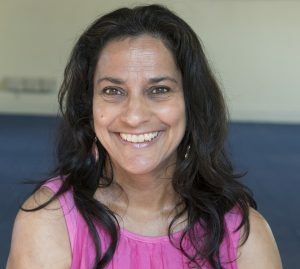 Neela is currently a yoga therapy supervisor with Minded and co-ordinator of the supervision team. Her interest in Yoga began during childhood visits to her family in India. She has 20 years experience of supervision in private practice, community services and psychiatric hospitals and is one of the senior supervisors at the Rock Clinic, Brighton. Neela has written and facilitated psychoeducational groups for patients with PTSD and CBT/Mindfulness groups dealing with anxiety, depression and bereavement. As such she has specialist expertise with these client groups both on and off the Yoga mat. She has also developed and run training courses for psychotherapists in a number of areas including trauma work, suicide prevention, and integrating Yoga therapy skills into psychotherapy. Neela lives and works in Brighton and would be delighted to hear from anyone seeking supervision for their therapeutic work.